The blue light of the screens is harmful to the eyes. That, a lot of people know it. Here’s an example that shows you should not use your smartphone with high brightness. A woman ended up with significant damage to the eyes. His doctor identified more than 500 micro-holes in the cornea of ​​his right eye. The young woman spent several hours daily on her smartphone with maximum brightness. This woman gradually damaged her eyes by using for two years her smartphone with the brightness set to 100% , even in the darkest total. She explains that at night she turned off the light and spent hours watching shows on her smartphone. 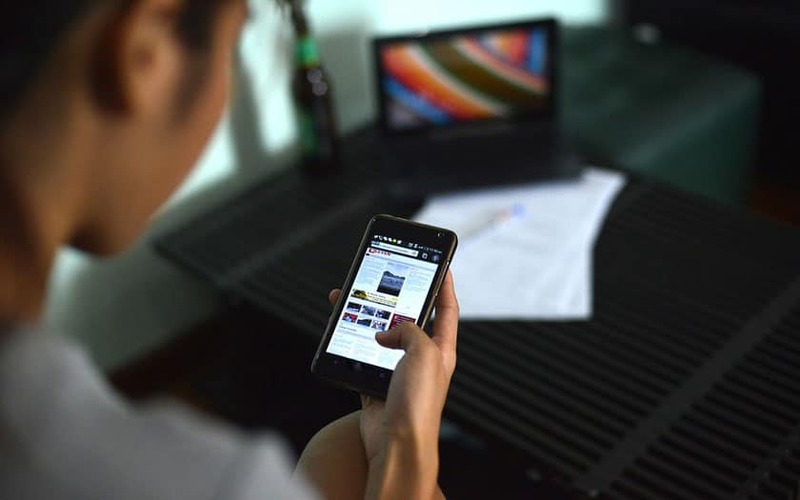 Working as a secretary, the 25-year-old Taiwanese also had to check her smartphone regularly to answer professional messages. The symptoms began with a decrease in visual acuity and then constant irritation that led him to consult an ophthalmologist. According to the AppleDaily website , the doctor found irreversible damage to the right eye with more than 500 micro-holes in the cornea. We know that the blue light of smartphones can seriously affect eye health . “To use the phone with such a luminosity for more than two hours is like cooking your eyes in the microwave,” according to the doctor. The victim was probably accustomed to it so that the maximum brightness became normal. The doctor explains that the screen of the smartphone had a brightness of 625 lumens, 300 lumens more than the recommended level . The young Taiwanese now follows a therapy, after being treated initially with steroids. If the goal is to relieve it, but also to increase its visual acuity, for the doctor, his vision will still be affected.